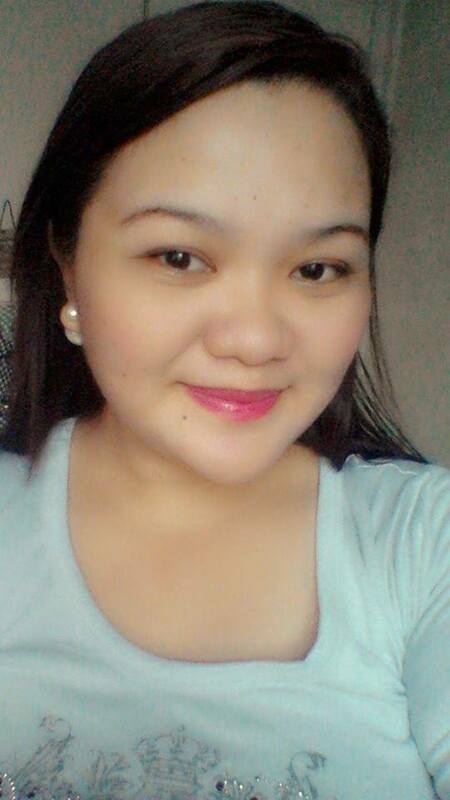 Your hair is not called your crowning glory for no reason at all. After all, it is one of the first things that others notice when they see you. Thus, this is also the very reason is why we should take extra effort in caring for our mane. The big question is: ARE YOU TAKING CARE OF YOUR HAIR ENOUGH? 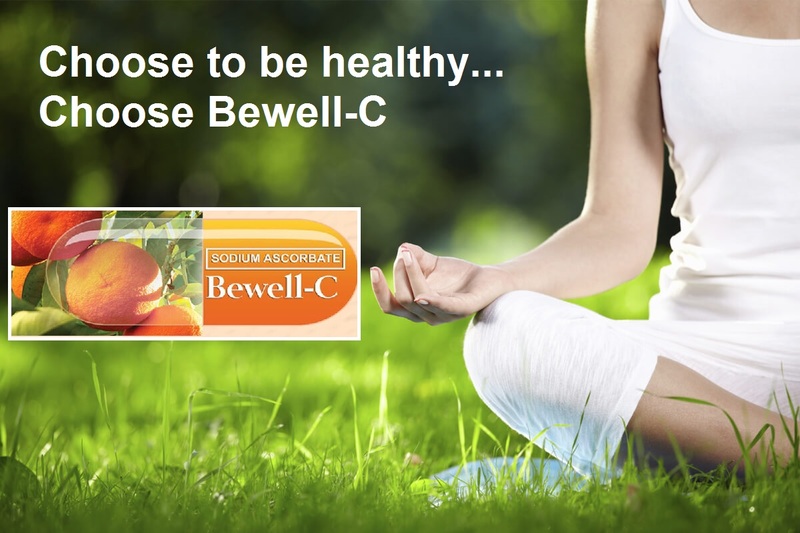 This new year, give your hair a resolution and have your hair and scalp analyzed in order to check for problems. 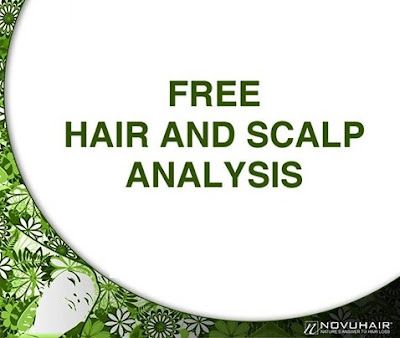 Novuhair, is offering a series of free hair and scalp analysis is various locations, check their monthly schedule at www.novuhair.com. You may also follow their social media accounts in Facebook, Instagram and Twitter. twitter. You may also call the Novuhair hotlines at 4136570 and 09228830575. A lot may have heard stories about people working from home or freelancing nowadays. A few years back, "freelancing" was not really a "positive" thing. It referred to people who did not have a stable job and is just doing any form of "raket" with no structure, no standard pay rate to earn a living. Currently, freelancing is now considered a career option. With all the technological advancements and everything going digital. Online freelancing or online work became a big hit that it has inspired professionals and corporate employees take the "big leap." Freelancing took a bigger meaning as it now considered "Working in Freedom." 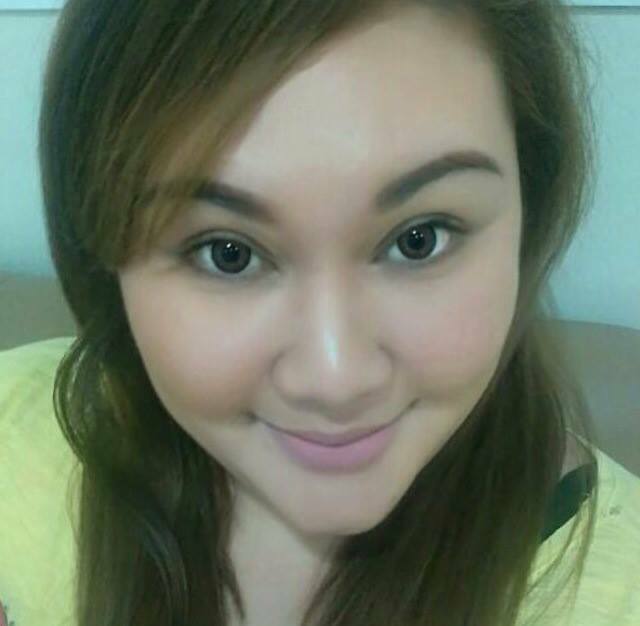 "I started working from home due to the flexibility of working hours without neglecting my role as a parent." 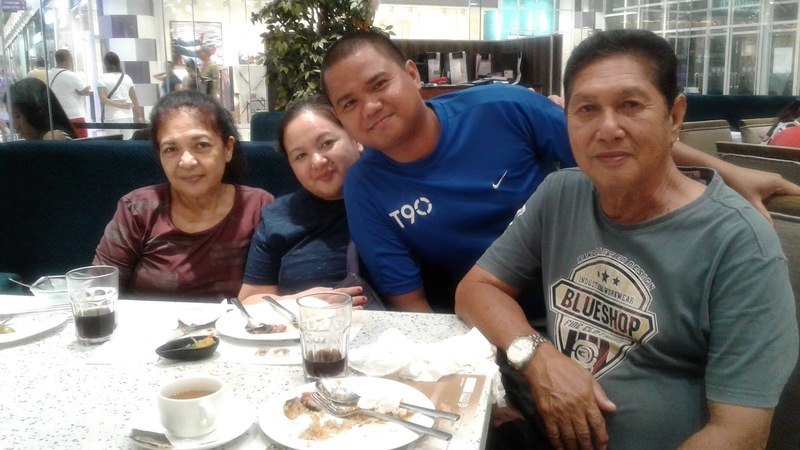 "To be more productive and happier in a way that I can do multitasking - doing household chores, working and spending more quality time with my family especially with my kids." added Mylin Soriano, Virtual Assistant - Quality Analyst, Mom of 2. On the personal note, I choose to start working from home because I can no longer tolerate the stress, traffic, and pollution to commute to and from work everyday. I keep getting sick and had very frequent asthma attacks. 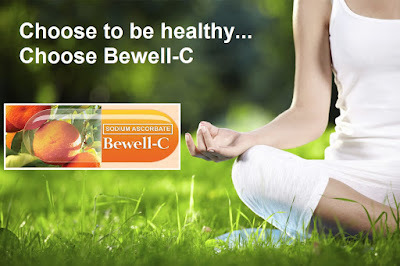 However, despite my health condition, I had to do something and need to continue to become productive. How to start? Where to begin? Is this even real? These are the questions I had in mind when I started my own freelancing career. Honestly, it was not easy but I was fortunate to meet the right people to guide and inspire me on what to do. 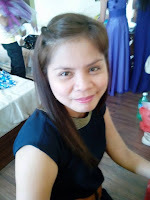 The WAHMderful Weekend organized by WAHM Manila has literally changed my life. It is because of them that I realized that having a mentor and a support group is very crucial. Thus, it has been part of our advocacy under The Purple Secretary to promoting more earning opportunities by empowering individuals from places where there are limited jobs offered as well as to provide support to parents who are not able to work due to family obligations. One of our objectives is to help guide "newbies" in avoiding online scams or being duped by others who present networking as an online job. 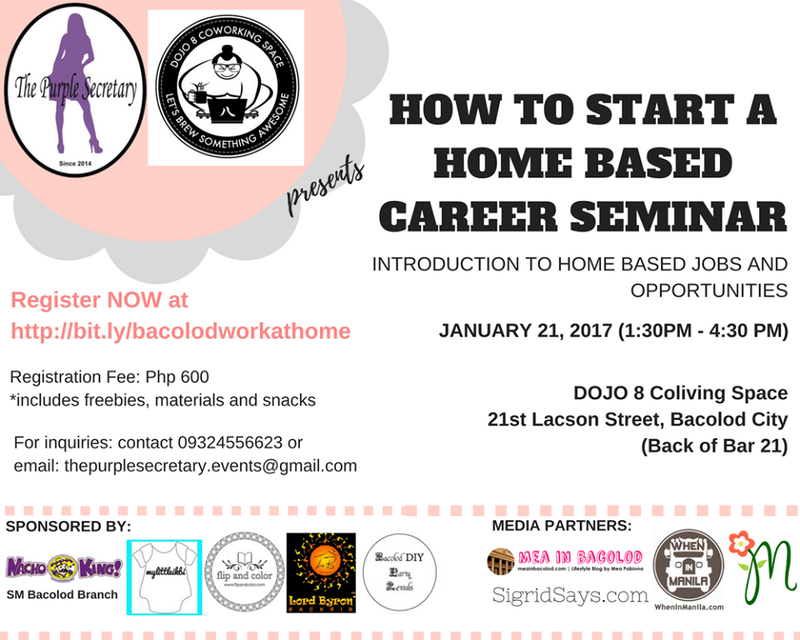 Last January 21, The Purple Secretary co-presented by Dojo 8 Coliving Space held the "How to Start Your Home Based Career Seminar." The learning event focused on the basics of starting one's home based career including different work-at-home career options, tips on getting started and information on where and how to apply. We also discussed current trends, pay rates and challenges faced by online workers. It was a sold out event and we are very happy with the overwhelming turnout of participants. I realized that there are a lot of individuals in Bacolod who are interested to also take the "big leap." Hearing personal stories from the participants made me realize that this is more than just a learning event. 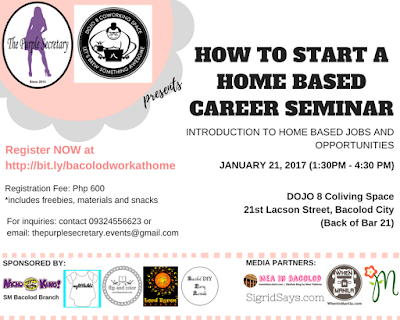 It is about changing other people's lives, improving family relationships and building our own community of freelancers in Bacolod. This promising start would not be possible without the support of our sponsors, Nacho King - SM Bacolod, Lord Byron's Back Ribs Bacolod, Flip and Color, My Little Ikbi and Bacolod DIY Party Rentals and media partners When in Manila, Sigrid Says and Mea in Bacolod. Christmas is my favorite time of the year - a time where people are happier, friendlier and more excited. My Christmas has always been magical. I look forward to the great food shared with my family during Noche Buena as well as get excited to wrap and open gifts. I grew up believing in Santa Claus that as early as November we start writing our letters. Christmas mornings had left me breathless as I get my Christmas wish. It was just so wonderful that I was even more excited for Christmas than my own birthday. However, life is not perfect. A lot of things happened. At the age of 10, my parents separated. At Age 15, I found out the truth about Santa Claus and at the Age 20, I started living on my own that most of the time I can't go home for Christmas because of work. Despite everything, I had loved and cherished all my Christmas memories. As a young adult, I was trying so hard to bring back the Christmas joy. I decorated my little apartment by putting up a Christmas tree, dressed my dog in a Santa outfit and prepared the same food that my family usually prepares for Christmas. Unfortunately, it was not the same. Later on, Christmas felt more like a chore where we just look forward to 13th month pays and Christmas bonuses. 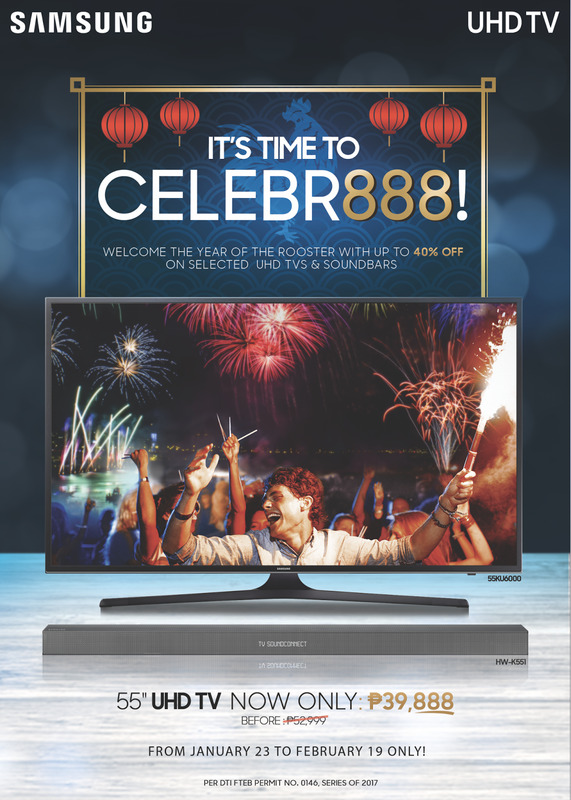 The season's highlights were just about Christmas shopping, company parties, and the dreaded Christmas rush. It is the time of the year where we notice that there is no more Christmas air. December just started to get warmer. Perhaps, I had lost the Christmas Spirit. But 2016 is different. This year, I would like to thank my parents for giving me the best Christmas ever. After 22 years, I have finally celebrated Christmas again with my mom and dad. We took a break from work and was able to fly home for Christmas. We did not have many gifts. I did not write or wait for Santa Claus but I was complete. My parents are not back together and they still have their reasons for the separation but they have opted to spend Christmas because of me. So, Mama and Papa -Thank you for giving me the chance to have this treasured moment. Plus, a family picture that I could keep forever. I realized that Christmas is not about material things. It is about being with your loved ones, being nice to others and celebrating the birth of Jesus Christ. If you are just like me who has lost the Christmas spirit, don't lose hope. We all have the chance to find it again by searching for the true meaning of the season. Let us open ourselves to pleasant encounters, thoughtful deeds, and forgiveness.